Back in Leadville for the long holiday weekend. I gave the kids their choice of about a dozen snowy activities for Saturday. 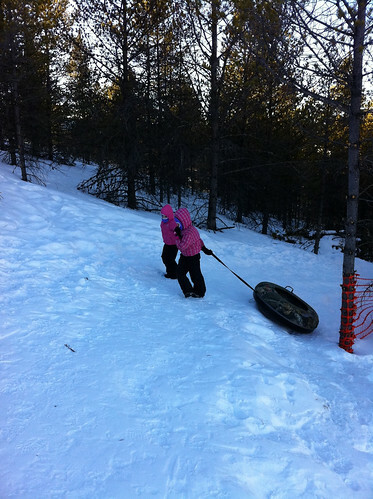 The winner was SLEDDING! So we grabbed our two sleds and headed over to Dutch Henry Hill about 1.5 miles from home. 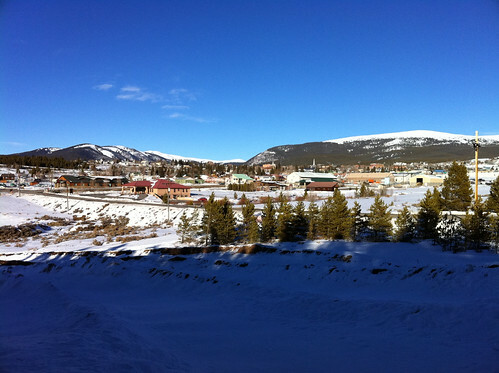 This hill is the start of the Leadville 50 mile trail run that I did in 2008. The weather was nice and there weren’t too many people there. 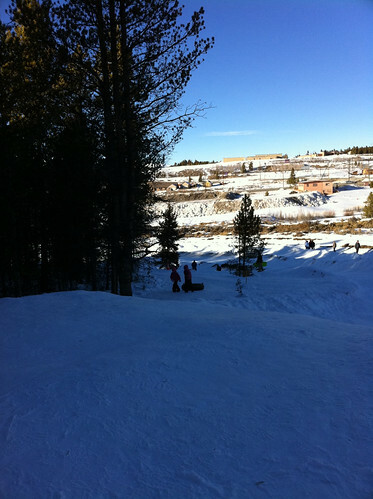 The hill is free to sledding and its open from dusk to dawn. 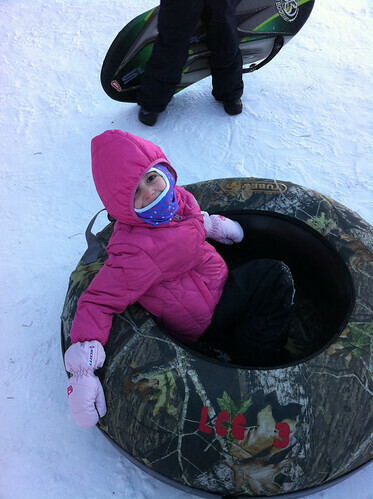 You can also rent snow sledding tubes for $5 and hour. 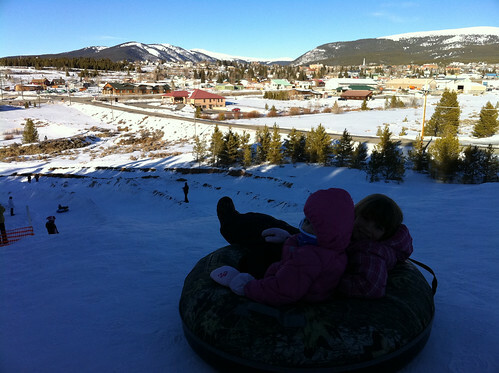 The tough part of sledding in Leadville: You have to drag your tube up this hill at 10,000 feet. I was getting a workout but the kids never complained. I expected Reagan to give up but she kept going up and down the hill. I guess the payoff was worth it. 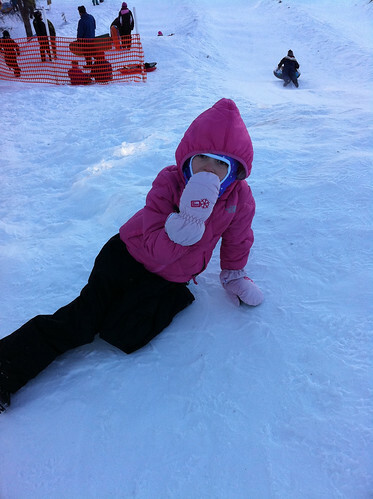 Either a break or a snow angel…or both. There is plenty of snow to snack on out here. Reagan liked this tube so much that I ordered one to save myself the hassle of renting by the hour. Hope to have it by next time. Some video of the runs! 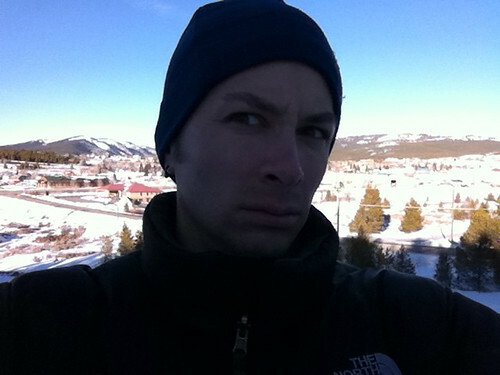 Leadville Sledding from Brandon Fuller on Vimeo. 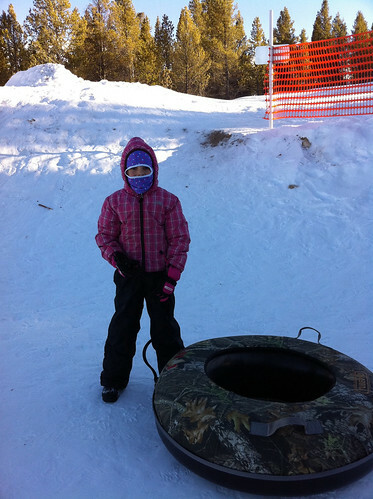 A great day of sledding. The runs seemed like they needed more snow but the packed down stuff was fast! 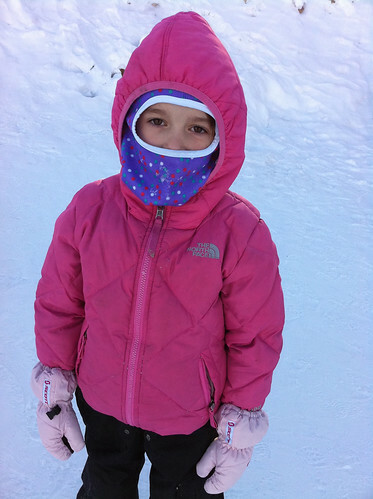 We went back a few days later during a snowstorm and the sledding wasn’t good. Too much powder. 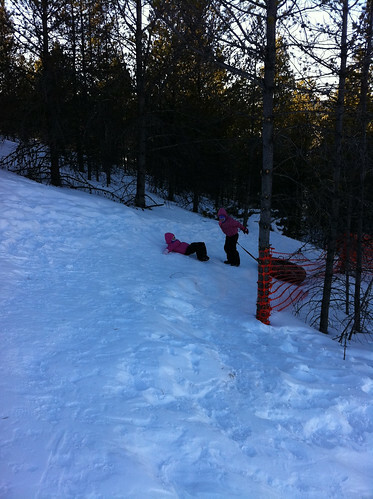 The kids couldn’t even get 1/2 way down the hill. Surely, the locals will get it packed down over the next few days so we can get back at it!